Banks around the world are increasingly opting biometrics to authenticate customers accessing their services. This trend is not limited to banks; other financials outfits are also taking up biometric authentication to identify customers and safeguard resources. Increasing cases of financial fraud, identity theft, and threats from cyberspace have made banks to restructure their identity practices and biometrics in banking and financial services offers the solution. Most banking customers are tech-savvy nowadays and expect a friction-less access to banking services but password based identity solution fails keep up with expectations, however, with biometrics in banking, things seems to be changing now. Having deposited money and valuables of people, banks and financial institutes are always on hit-list of fraudsters and cyber criminals. Since banks and financial institutions have a great importance in the financial stability of a country, they are one of the highly regulated institutions. Regulatory compliance also affect how banks identify their customers. Traditionally banks have been using paper based identity documents or government issued photo ID cards to identify and authenticate their customers. But this method of identification has been constantly forged by fraudsters as it is easy to print documents and cards as high quality printing is easily available to everyone. With biometrics, however, it becomes near impossible to use someone else’s identity. How biometric can improve identity practices? Biometrics is a technology powered method of personal identification that leverages unique biological patterns on and in human body. These irregular and asymmetric patterns are found in iris and retina inside eyes, fingerprints, vein pattern beneath the skin, facial pattern, DNA sequence, voice print, gait, typing rhythm, etc. Irregularities in formation of these patterns make them good enough to be considered as unique for a person. For example, in over 100 years history of fingerprinting, fingerprints from different fingers were never found to be the same. Biometric characteristics do not even repeat in twins and they remain unchanged throughout the life of a person. Different fingers of same person too have different fingerprints. These qualities of biometric traits make them an ideal method for personal identification. Lloyds Banking Group plc, which is one of the major financial institutions serving business as well as individual customers, has partnered with Microsoft to enable their customers to login to their banking services and authenticate transaction with fingerprint and facial recognition. User biometric data will be stored locally and encrypted to safeguard it from any misuse. Microsoft’s latest operating system Windows 10 comes with Windows Hello, which gives the OS ability to store and process biometric data and perform multi-factor authentication. With this implementation, Lloyds Banking Group becomes the first financial institution to have this kind of partnership with Microsoft. It is expected to enhance user experience and security. With this implementation, customers can login into their Lloyds Bank, Halifax and Bank of Scotland internet banking sites. – said Gill Wylie, Chief Operating Officer, Group Digital & Transformation, at Lloyds Banking Group. KB Kookmin Bank was ranked first among mobile banks by Brandstock at Korea’s Highest Brand of the year survey in 2016. This achievement was the result of KB Kookmin Bank’s continuous efforts towards biometric enabled secure mobile banking. It was among a few that leveraged iris scanner of a mobile device to authenticate customer for accessing their account. This functionality was originally provisioned for Samsung’s flagship device Galaxy Note 7, but the mobile phone maker had to recall the devices amid multiple instances of device battery exploding or catching fire. However, with the launch of Samsung Galaxy S8, KB Kookmin updated its mobile banking app for the new smartphone to leverage the iris scanner of the device. User authentication with iris for accessing accounts was made possible by Samsung Pass API (Application Programming Interface), which enables partners to leverage the iris scanner of device for user authentication. Authentication with iris scanner is set to enhance user experience as customers had to go through rigorous verification process in the past to prove their identity. Australia and New Zealand Banking Group, popularly known as ANZ Bank has announced that it will be using voice biometrics for customer identification and authentication. This will help secure transactions over $1000 and enhancing user experience at the same time. This feature will be available to ANZ bank’s staff and select user group initially as a test run and will be rolled out for all the customers later this year. This initiative is the next step towards safer and convenient mobile banking using customer biometrics. ANZ will use the same voice print technology being used by Barclays Wealth, which is one of the major financial institutions. The voice print solution is provided by Nuance, which is world-leader in voice recognition and voice biometrics technology, providing speech recognition and speaker recognition solutions to numerous clients across the globe. With this solution, customers will be able to authenticate with their voice via ANZ Go Money mobile app. Voice recognition feature will also be rolling out to ANZ’s other digital services as well. – said Peter Dalton, Managing Director Customer Experience and Digital Channels at Australia and New Zealand Banking Group. PyraMax Bank, which is a federally chartered mutual savings bank with over $450 million in assets and based in Wisconsin, has stepped up to improve its retail banking operations with Fiserv’s technology solutions. Fiserv, which is a leading global provider of financial services technology solutions, will provide DNA account processing platform and integrated services including Verifast: Palm Authentication for biometric authentication. These solutions will be accessed by the bank from a Fiserv data center, which are expected to help grow commercial loans and deposits of the Bank. – said Monica Baker, senior vice president, Chief Brand Officer at PyraMax Bank. DNA provides platform for open, real time account processing, while Verifast is an award winning biometric solution that has ability to securely authenticate customers by matching their palm vein pattern. Customers just need to wave their palm over the infrared sensor of the system and can instantly have access to their accounts, without any burdensome process of proving identity. Union Bank of Philippines is one of the major banks of Philippines ranking 7th in terms of assets. Commonly known as UnionBank, it has made multiple channels available for facilitating access to information and performing transactions. Providing wide variety of financial services, UnionBank is a universal bank. The bank has chosen to go with IdentityX platform for mobile biometric authentication. IdentityX platform is developed by Daon, a leading biometric software solution provider, and is set to provide an additional layer of security for UnionBank’s mobile channel by biometric authentication and device cryptography. This application has ability to lock down bank’s mobile channel to safeguard high risk transactions with device cryptography and biometric authentication. Citi Group Inc. is an American multinational financial institution providing financial services across the globe. With several subsidiaries around the world, Citi Group is the 4th largest bank in the United States in terms of assets and ranked 29th on Fortune 500 list in 2016 in terms of size. Citi group became the first company that launched voice authentication in May 2016 across Asia Pacific region, which was widely adopted by the customers and hit a million mark in March 2017, much earlier than anticipated. Citi Bank customers from Australia, Hong Kong, India, Malaysia, Philippines, Singapore, Taiwan, Thailand and Vietnam are leveraging voice biometric authentication to access the financial services provided by the bank. Voice authentication is providing frictionless access to information and transactions by eliminating requirement of manual identity verification, which is not only time consuming but also frustrating at times. Remembering PINs or answers of security questions to verify identity is another burden that biometric voice authentication has eliminated. Riding the wave of biometric authentication, Citi Bank is set to safeguard more of its services with it. The bank is going to introduce an application that will bring banking, money movement and wealth management services in one application.3 The application will make use of user biometrics to safeguard and authenticate transactions. This step is in line with bank’s new operating model. IDFC (Infrastructure Development Finance Company), which kicked off as a non-banking finance company in 1997, started its banking operations in 2014. The bank joined the biometric bandwagon by introducing India’s first fingerprint payment solution to pay merchants across the country. This card-less and phone-less solution is expected to enable citizens without smartphones to make digital payments with their fingerprints. Any citizen with aadhaar card and a saving account in any Indian bank can make biometric payment to merchants who have enrolled to the payment method. Merchant should have a smartphone with designated app installed to accept biometrically authenticated payments. Aadhar is a biometric database containing more than one billion Indian citizens’ biometric data like face, fingerprints and iris templates. This database is still waiting to be widely leveraged by incorporating biometric identification and authentication to various digital services in the country. A few Banks, telecom and other service providers have started using the biometric authentication with Aadhaar to expedite the verification process. According to the official media statement from the bank, IDFC Aadhaar Pay is expected to be a game changer in country’s intensive efforts towards digital economy by eliminating barriers like need of a credit or debit card, phones and passwords, enabling citizens to pay digitally even from the remote areas. Wells Fargo is the world second largest American bank in terms of market capitalization and has international presence in banking and financial services. Wells Fargo Company is working on a payment solution that will make use of voice of its customers to authenticate transactions and access services. While other banks and financial institutions still have limited approach towards voice biometrics and use it only to let customers access information like account balance, etc., Wells Fargo Company’s bold step to use voice biometrics to authenticate payments is quite a news for financial security experts. This payment solution will not just be limited to authenticate payments, but will be able to complete solution with conversational ability with customers. Wells Fargo is exploring how it can leverage artificial intelligence to make it able to perform conversational banking, much like iPhone’s Sir or Amazon’s Alexa, which are always keen to give you daily weather report or search restaurants nearby on voice requests. Wells Fargo indicated that their virtual assistant will do much more than just giving superficial information, it didn’t reveal specifics though. With USAA and Bank of America have already introduced their digital assistants called Nina and Erica respectively, war of virtual assistants seem to be heating up with Wells Fargo’s ambitious virtual assistant. Steve, however, did not specify time when Well Fargo customers can expect this solution. Headquartered in Sydney, Commonwealth Bank of Australia is the largest bank in the Southern Hemisphere. The bank provides a variety of financial and banking services with presence in New Zealand, the United Kingdom, Fiji, Asia and the United States. Tyme, which is a South African based global leader in designing, building and operating digital banking systems and CBA’s 100% subsidiary, launched biometric kiosks in May 2016 that has grown to 685 in 2017. These kiosks processed 100,000 new customers in South Africa. Biometrics is saving CBA a lot of time and cost while processing new customers, average time is below 4 minutes and cost to bank is just $4 per customer. These android based, Wi-Fi connected machines are placed at Pick n Pay retailer in the country. 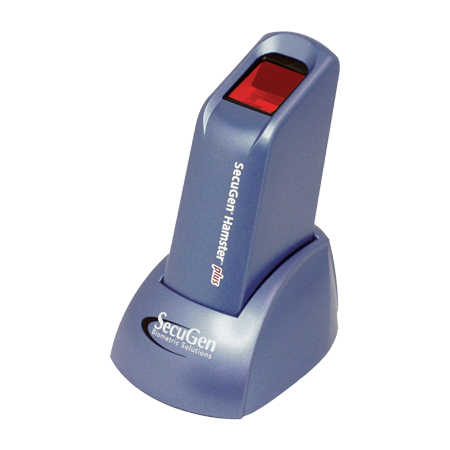 These machines are capable to verify fingerprints and documents and are also equipped with high resolution camera to process new customers. CBA, however, did not give any hint about bringing this facility to Australia. Royal Bank of Scotland Group plc is one of the major British finance and insurance holding companies providing a variety of services related with banking, insurance and finance to individual as well as business clients. The group offers its services in several countries of Europe, North America and Asia. RBS Group has already fastened on multi-factor authentication including user biometric as one of the factors as new cyber-security rules from NYDFS (New York Department of Financial Services) approach. NYDFS regulates financial service providers to protect companies and customers. Multifactor authentication being one of the many requirements of new cyber security rules, RBS Group chose to implement the requirements beforehand. The financial group has teamed up with BioCatch, an Israeli firm expert in behavioral biometric solutions, to implement these requirements. Yapi Kredi is one of the few private banks in turkey known for its innovative products. The bank has over 13 million customers being service by 965 branches across the country. Yapi Kredi became the first bank in Europe for enabling its customers to login to the Yapi Kredi mobile banking app with their eyes. This solution uses Eyeprint ID, an innovative product developed by EyeVerify, which is a biometric solution company based in Kansas City, MO. This solution lets users login to Yapi Kredi mobile banking app by capturing unique characteristics of user eyes and verifying user identity, eliminating need of any other mode of identity verification like PINs or passwords. Atom Bank is an app based bank, which claims to be Britain’s first digital-only bank. Unlike traditional banks, it has no branches, physical presence or internet banking website for customer-end operations; everything is managed by their back-end team and customers have to use smartphone app to bank. It has enable bank to keep cost low and serve customers at their convenience. Atom bank uses face and voice recognition technology for user identification and authentication, it also uses a six digit passcode to make authentication multi-factor. Users can personalize app as they please. The bank made it to the financial news strips when 5000 new customers joined them in a single day, on March 9, 2017, being the last day of their special interest rates offer. Digibank is a digital banking initiative by DBS, which is a Singapore based multinational financial services corporation. Digibank can be operated entirely by its smartphone app for banking operations like deposits, money transfer, payments, etc. The bank provides attractive rate of interest on saving accounts which is higher than traditional banks. Digibank does have physical branches in some cities, however, they are mostly engaged in back-end financial and technical operations and does not entertain customer directly. DBS has been awarded the Best Digital Bank by Euromoney, a business and finance magazine. Digibank uses customer biometrics for opening an account, the entire process is kept paperless and there is no need of other proof of identity or signature. Customer can sign-up as an e-wallet and can convert it to saving account by fixing an appointment with the bank or visiting a certain location and providing his or her biometrics. The customer has to be enrolled with Aadhaar to be able to get it processed. Bank uses online Aadhar authentication to verify customer details. With its foundation dating to 17th century, Bank of Scotland is one of the oldest banks in the world. The subsidiary of Lloyds Banking Group has taken initiative to enhance customer experience by enabling them to open a new account by submitting their photos and identity documents with a web application, which can be accessed from any platform, and there is no need to install any app. The process only takes a few minutes and customers are informed about the status of their account within two working days. BVAA Compass Bancshares, Inc. is an American financial services provider and a subsidiary of Banco Bilbao Vizcaya Argentaria (BBVA), one of the major banks in Spain. BVAA Compass has integrated Apple Touch ID with its mobile app and this upgrade brings ability to login to the app with customer fingerprints. Now customers can check real time running balance, account numbers, and other account information by logging in to the app just with their fingerprint. This app upgrade is set to enhance user experience as well as security by leveraging exclusivity of user biometrics. With Touch ID integration to its mobile app, BBVA has joined the bandwagon of biometric security. Deutsche Bank provides banking and financial services across the globe with presence in more than 70 countries. Headquarter in Frankfurt, Germany, Deutsche Banks is one of the leading financial institutions in the world. The bank has a mobile application under trial, which leverages several elements of user biometrics to identify and authenticate its users. The bank has chosen multi-modal biometrics for enhanced security as it requires more than one biometric identifiers to allow access. The bank expects new system to liberate users from passwords. It analyses several behavioral aspects to identify its users, like whether the user is sitting or standing, patterns of tapping the screen, etc. It has ability to devise workarounds for temporary behavioral changes as well, for example if usage pattern changes due to an injury or illness, the system might ask for a selfie to authenticate the user. Fifth Third Bank is a diversified financial services company serving in the United States with more than 1100 full service branch locations. The bank is headquartered in Cincinnati and has presence in 9 more states in the country. The bank has integrated Apple’s mobile fingerprint solution Touch ID with its iPhone app to enable users to login to the app with the touch of a finger. Users can not only login to the app, but also authenticate payments, perform transactions and review bank statement on their Touch ID enabled iPhone or iPad. A bank official said that biometric integration was a response to customer requests and rising trend of convenient mobile banking. HSBC is one of the largest banks in the world providing banking and financial services in 70 countries around the world. HSBC has integrated its mobile banking app with Apple’s Touch ID for biometric fingerprint login on iPhone 5s or above running iOS version 8 or higher. Users, who have enabled Touch ID on their iPhones or iPads, can use the same to login to the HSBC Mobile banking app. During the registration process, the app asks users if they want to use Touch ID for mobile banking. As of August 2017, the app was only available for iOS, the bank, however is said to be working on an Android version as well. According to the bank, Touch ID integration with HSBC mobile banking app is set to provide a simple, fast, and secure way to access HSBC account. HSBC is one of the largest banks in the world providing banking and financial services in 70 countries around the world. Amid the increasing frauds and threats from the cyberspace, the bank has implemented voice recognition system to safeguard its customers in the United States. With this new voice biometric system, customers’ voice becomes their password and they no longer need to remember PINs to authenticate themselves. To access their accounts over the phone, customers need to repeat a passphrase and voice biometric system samples and analyse the voice to recognize the caller. The Voice ID system also analyses how voice is produced so the system cannot be fooled with recorded or mimicked voice. Voice ID system checks over 100 behavioral and physical vocal traits in seconds and determine whether it’s a genuine user of an imposter. The bank is also planning to implement the system for the HSBC customers in other countries. Mashreq is a major banking and financial service provider based in UAE and serving millions of individual as well as business customers in UAE, Egypt, Qatar, Kuwait and Bahrain. The bank is known for its performance as well as innovative products in the region. Mashreq has integrated its mobile banking app “Snapp” with Apple Touch ID to provide seamless access to its mobile banking services on Apple’s Touch ID enabled devices. This integration is set to bring convenience as well security for Mashreq Customers. Customers can authenticate themselves with the touch of a finger and can access account information as well as authorize transactions. Mashreq Snapp is already a feature rich app that provides several services to customers, with Touch ID integration; it has hiked up level of security and convenience as well. Santander is a banking and financial service provider based in the UK. The bank is a 100% subsidiary of Santander Group, which is a Spanish banking group having presence in several countries of Europe, North America, Latin America and Asia. Santander claims to be the first bank in the UK to enable customers for making payments by their voice. Santander’s SmartBank app comes with an interactive voice assistant that can answer customer queries and make payments. Customers can straightaway ask the voice assistant about their account balance or to make a payment with their natural voice. “Pay Steve £50 tomorrow”, “What is my account balance” or “How much I spent yesterday” are some of the example question, if voice assistant does not understand something or needs more information, it will cross question the user. Santander SmartBank app is powered by artificial intelligence and it gets smarter with usage. Voice being the most natural way to communicate, this app is set to take user experience to the next level. Among the growing market of virtual assistants like Siri, Alexa, Google Assistant, Cortana, etc. SmartBank app is the part of Santander’s constant efforts to bring meaningful benefits for the customers out of the latest technology. Standard Chartered is a leading banking and financial services institution with presence in more than 65 countries across the globe. The company provides financial services to individual as well as business customers and offers a wide range of products. Standard Chartered has introduced biometric powered banking for its customers across Asia, Africa and Middle East. Standard Chartered claims it to be the “most extensive roll-out of fingerprint biometric technology by any international bank and a first in most markets”. The banks has upgraded its mobile banking app to accept user fingerprint for logging in to the app, authorize payments and paying bills. The app is available on Android and iOS mobile operating systems. The bank has also rolled out voice biometric technology to enhance phone banking security. Customers who are accessing their accounts and services via phone banking no longer need to remember user name or password, Standard Charterer’s voice biometric system captures physical as well as behavioral characteristics of user voice to identify and authenticate a user. – said Karen Fawcett, CEO of Retail Banking at Standard Chartered. ABN AMRO is a major banking and financial institution of the Netherlands. ABN AMRO claims to be the first Dutch major bank where new customers can sign up with a selfie. Customers will also require to take the photos of their identity card or passport along with the selfie, for identification purposes. An iDeal payment transfer of €0.01 is also needs to be processed for singing up for a new account. – said Frans Woelders, Managing Director of Retail Banking at ABN AMRO. This new way to sign up for an account is part of ABN AMRO’s innovating ways to serve its customers better and faster. JP Morgan Chase is one the largest multinational banking and financial services companies serving millions of individual, government and corporate clients. With its foundation dating back over 200 years, it is one of the oldest financial institutions in the United States. JP Morgan Chase has abandoned password based authentication for its mobile app in favour of inbuilt biometric fingerprint sensor on iOS and Android mobile devices. It has even eliminated need of passwords for authenticating money transfers or payments which was earlier a mandate, even if customers had enabled fingerprint security. Chase has confirmed that none its mobile app functions will require passwords based authentication, making user fingerprints the sole guardian of banking security. Oversea-Chinese Banking Corporation Limited or OCBC Bank is Singapore’s oldest local bank. Starting off with local banking services, OCBC bank now has offices in 18 countries serving individual as well as business clients. The bank has upgraded its mobile banking app with a feature called OCBC One Touch, which is basically the integration of Apple Touch ID with the mobile banking app. With this feature, OCBC customers can check account balance and time deposits as well as status of incoming or outgoing funds, with just the touch of a finger. Users need to login with User ID and password and activate the feature within the app. The OCBC mobile banking app with fingerprint integration is available for Touch ID enabled iPhones running iOS version 8 or above. For Android, the feature is available only on select Samsung’s Android devices; however, the bank has plans to bring the functionality to other Android devices as well. Headquartered in New York, Mastercard provides its payment processing and payment card services around the world. The company is leveraging facial biometrics for payment authentication, colloquially known as “Selfie Pay”. User can authenticate a payment by capturing their face on their smartphone camera. The feature has been rolled out in several countries with many others to follow. MasterCard has plans to make the technology available across the globe in the future. MasterCard calls this technology MasterCard Identity Check, which leverage user smartphone’s camera or fingerprint sensor to authenticate a payment, users can use either to verify their identity. Inbursa provides banking and financial services through its subsidiaries. It offers retail as well as commercial banking services and attracts deposits. The company has partnered with FacePhi, a leading company in facial recognition technology, to enable its customers to authenticate with their smartphone camera, popularly known as Selfie Pay. The solution comes with ability to detect liveness to safeguard users from spoofing attempts. The solution will be integrated with Inbursa’s web as well as mobile platform. With this deployment, Inbursa has become the first bank to implement this technology in Mexico. Gulf Bank is one of the major banking and financial services companies of Kuwait, offering wide range of financial products and services across the country. The bank has partnered with Daon, a company specialized in biometric solutions, to integrate its mobile banking application with IdentityX biometric platform. IdentityX platform is developed by Daon to impart biometric ability across a wide range of applications. This integration will enable Gulf Bank customers to authenticate identity with their biometric identifiers like fingerprints and facial features to access their account on mobile banking app. The bank expects that integrating biometric authentication will enable customers to perform wide array of banking transactions efficiently and securely. Nequi is a digital-only subsidiary of Bancolombia, the largest bank of Colombia. Nequi provides financial service via smartphones on Android as well as iOS mobile platforms. Users can save, send or receive money, make payments and withdraw money from Bancolombia ATMs. Nequi has implemented biometric integration to its app in partnership with Daon, a company specialized in biometric solutions. With this integration, Nequi customers will be able to authenticate their identity with a selfie. Whenever they reset password, change SIM card or reactivate their accounts, app will ask for user authentication, which is as easy as taking a selfie. The app makes use of biometric facial recognition technology to identify and authenticate users. Nequi is also looking to introduce voice authentication in future to layer the security of its services. BNP Paribas is an international banking group providing retail, corporate and institutional banking and financial services to millions of customers in 74 countries. The bank has employed biometric authentication solution called “MyBioPass” for its wealth management services in association with Daon, a company specialized in biometric solutions. This solution provides ability to authenticate with facial recognition (selfie), fingerprints or voice recognition. The bank requires a physical verification to activate account access with biometrics once a user has setup MyBioPass by providing his or her biometric samples. With presence in more than 40 markets, Barclays is a multinational banking and financial services company serving individual as well as corporate clients. Barclays chose to ride biometric bandwagon back in 2014 introducing finger vein recognition system to authenticate users accessing banking services. Finger vein recognition system maps vein pattern beneath the finger skin, which is unique to an individual, making it good enough to use it for personal identification. In more recent history, the company has employed voice biometrics to verify identity of customers calling Barclays call centers. This sophisticated voice biometric technology can automatically identify customers once they start talking, by matching their voice pattern with what’s on file. – commented Steven Cooper, CEO of personal banking at Barclays. The United Services Automobile Association, abbreviated and commonly known as USAA, has been providing insurance, banking and financial services to military members and their families since 1922. USAA has rolled out biometric integration within its smartphone app in January 2015 in partnership with Daon, a leading biometric software solution provider. This integration gives users ability to authenticate themselves with fingerprints, voice or by capturing photo by their smartphone camera. USAA users can select any of authentication method as per their choice and circumstance, e.g. in a noisy room, fingerprint or facial recognition will be more viable choice than voice authentication. USAA became first major financial company in the United States to deploy full scale roll out of biometric recognition technology for its customers. Banco Azteca is one of the largest banks of Mexico, headquartered in Mexico City and providing banking and financial services in many countries of Latin America. The bank has introduced biometric enabled authentication across its 900 branches to authenticate customers who seek access to its services. On account opening, customer biometrics is enrolled to enable them to securely perform debit and credit transaction, check account balance, transfer funds, exchange currency and withdraw cash with fingerprint authentication. Customers can also acquire fingerprint reader from the bank that provides them ability to securely access and authenticate for Azteca banking services over the internet. DBC Bank is a scheduled commercial bank providing banking and financial services in many cities of India. It is a private sector bank regulated by the Reserve Bank of India. The bank is among a few in India to leverage biometric technology to enable customers for accessing banking services. It is the first bank in India to launch a biometric ATM that just needs Aadhar Number and fingerprints to withdraw money. Aadhar is a database of more than a billion Indian citizens’ biometric data with a unique number as its key called Aadhaar Number. There is no need of a plastic card to dispense money at a DCB biometric ATM. The bank is also set to leverage Aadhar biometric authentication for opening new accounts and enable customers to perform in-branch transactions, according to a report published in the Economic Times. – said Murali M Natrajan, CEO at DCB Bank. First International Bank of Israel provides banking services across Israel and is the fifth largest bank in the country. The bank has chosen to deploy biometric authentication to comply with regulatory requirements of non-repudiative multifactor authentication. It has become the second bank in Israel to switch to biometric authentication among top 5 banks this year. The bank has partnered with Transmit Security, an Israeli biometric solution company to achieve this integration. – said Mickey Boodaei , CEO at Transmit Security. The Qatar National Bank (QNB) is the largest private universal bank of Qatar, headquartered in Doha and is one of the largest banks in the Middle East. The bank has started taking advantage of iris recognition biometrics to enhance financial security and convenience. The bank has partnered with Iris ID, a company specialized in iris recognition technology, for integration of iris recognition ability within their systems. Customers can register for iris authentication by visiting a QNB branch, where their iris is photographed and converted into a biometric template, which resides in a secure database for authentication purposes. The process is fully automated and does not take more than a couple of minutes. This process will enable users to authenticate themselves at biometric ATMs of QNB where customers can dispense money or access services in a second just by looking at the iris reader. Bank Leumi is the oldest and largest bank of Israel and one of the largest corporations in the Middle East, serving individual as well as business clients. The bank’s credit card subsidiary Leumi Card has chosen behavioral biometrics for user identification and authentication. 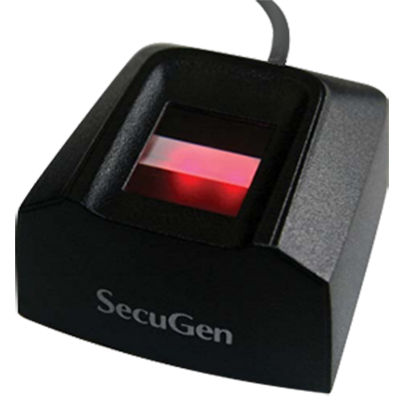 The solution is developed by SecuredTouch, an Israeli tech company specialized in behavioral biometrics. This solution uses more than 100 physical and behavioral parameters to establish and verify user identity. Usage pattern attributes like finger pressure, fingertip size, typing rhythm, swipe speed along with data from device hardware and sensors like device ID, gyroscope, accelerometer, etc. are used for creating a usage profile and verifying user identity. The Leumi Card mobile app constantly monitors device data and usage pattern that knows if device is in right hands. It creates a seamless verification experience that does not require any proactive action from user to verify his or her identity. The bank official also said that biometric integration in Leumi Card’s mobile app was also in line with regulatory compliances for digital banking communications that required two factors of authentication. NatWest or National Westminster Bank offers its banking and financial services across Great Britain by its large network of 960 branches and 3,400 ATMs. The bank has partnered with BioCatch, a behavioral biometric solution provider, for implementation of biometric user profiling to protect its customers, enhance security and making access to its services securer and smoother. This biometric system captures and analyses more than 500 attributes of user interaction with application to create a unique user profile, which is unique to a user and cannot be accessed, stolen or imitated. This user profile is not only used while logging in to the account, but also throughout the session to track irregularities in usage pattern. Leveraging continuous authentication, if irregularities go beyond a threshold value, the solution has ability to deny further access. It can also detect malware, RATs, and other non-human intrusions. Bunq is the first Greenfield bank to acquire a Dutch banking permit in last 35 years. It is a digital/app only banking solution that provides its services via a smartphone app. Bunq has introduced biometrics to enhance security and user experience on its mobile app. In partnership with an end-to-end biometric solution provider Veridium, Bunq chose to go for a solution that recognizes and authenticate users with a combination of fingerprint from four fingers. This solution leverages smartphone camera instead of a fingerprint sensor on mobile devices and is a touch-less solution. According to Veridium, capturing combination of fingerprints from multiple fingers increases complexity of collected data and decreases chances of spoofing or unauthorized access. 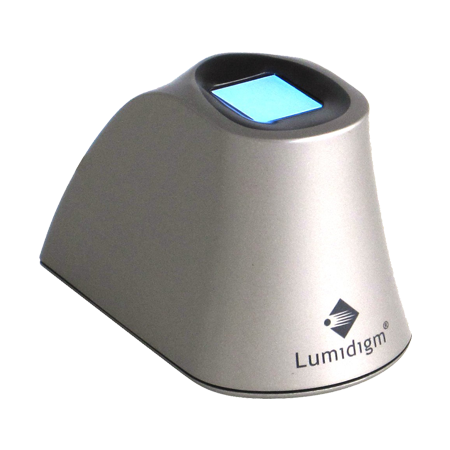 The solution works on any iOS or Android device with at least 5 megapixel rear facing camera with an LED flash. Now Money is a mobile wallet and remittance service company aiming to serve low income migrant workers in the UAE. The company has partnered with AimBrain, a biometric SaaS provider, to enhance user experience and safeguard authentication process for its mobile app. AimBrain is set to integrate its behavioral and facial authentication as a cloud service within the app, which will not only provide a frictionless user experience but also safeguard user accounts from unauthorized access. Visa is a world renowned payment processing and financial services company, headquartered in Foster City, California, United States with presence in every country in the world. The company chose to get rid of password based authentication in favour of a biometric solution by partnering with BioConnect, a biometric identity platform provider. Visa’s biometric solution is set to work across many devices and operating systems and will accept multiple user biometric identifiers like fingerprint, voice, facial recognition, etc. The solution aims to avoid pitfalls of passwords even if a biometric authenticator fails, for example in a noisy room, voice authentication is of no use, then fingerprint or facial recognition can be used to authenticate identity. 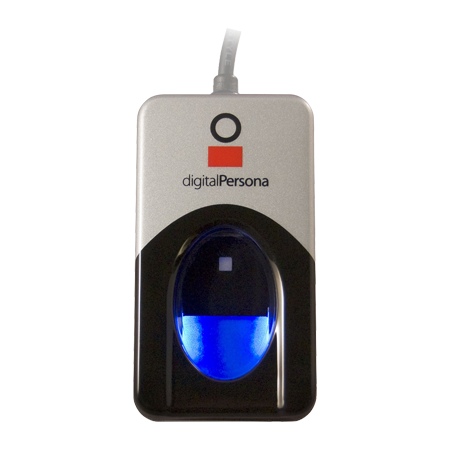 This solution even lets users login with biometrics on a new device, if their existing device with payment information is lost or broken. – The financial giant stated on their website. Virginia Credit Union is a banking and financial services institution providing personal and business banking products and services in Virginia. The credit union has rolled out voice biometric authentication to identify and authenticate users calling in for balance enquiry or applying for a new product or service. The solution is provided by Nuance, which is known for its voice biometric speciality. It will help Virginia CU to recognize customers, enhance user experience mitigate risk of fraud. – said Tim Kelly, executive vice president of member services for the credit union. Gesa Credit Union is a financial services institution that provides various financial products and services for its members. The financial institution is leveraging palm recognition technology in association with financial technology company Fiserv. Fiserv, which is a leading global provider of financial services technology solutions, will provide DNA account processing platform and integrated services including Verifast: Palm Authentication for biometric authentication. PalmSecure technology is developed by Fujitsu that can read and map vein pattern beneath the palm skin, which is unique to an individual and can be used to identify and authenticate user identity. First Bank is a banking and financial services company serving customers with its 115 locations in Colorado, Arizona, and California. The bank has upgraded its mobile banking app to leverage in-build fingerprint sensor on Touch ID enabled iPhones and iPads. Touch ID integration is set to enhance user experience as customers can now authenticate themselves just with the touch of a finger. The fingerprint is the second factor of authentication, first being a digital certificate that will be downloaded to the user device by the solution provided by Entersekt, a biometric technology company the bank has partnered with for Touch ID integration with its mobile app. The bank has plans to extend biometric capability to its Android app as well. Jumio provides technology powered identity verification as well as online mobile payment services, helping business enhance customer experience and reduce fraud. The company has integrated facial biometric and machine learning ability to its digital ID verification technology “Netverify”. Netverify can now recognize users with their facial geometry along with ID and document verification. Integration of biometric facial recognition technology is set to further safeguard business from identity fraud and meeting KYC compliance more efficiently. The solution features “liveness detection” as well, it will not process the facial recognition until the customer moves or blinks his or her eyes, making is hard to spoof. – said Stephen Stuut, CEO as Jumio. Ujjivan is an Indian finance company that offers a range of loan products to serve the specific needs of customers making it one of the leading micro finance institutions. The financial institution has unveiled its plans to implement a biometric ATM to serve unbanked or under-banked population. These biometric ATMs will be able to identify customers with their fingerprint, fetching customer details from Aadhaar database, which is a biometric database of more than a billion Indian citizens. Sumitomo Mitsui Banking Corporation (SMBC) is a Japanese banking and financial services company headquartered in Tokyo, Japan. The company has hooked up with Daon Inc. and NTT Data Corporation along with Sumitomo Mitsui Financial Group, Inc. (SMFG) to implement multimodal biometric authentication platform for its products and services. This authentication solution will be developed using IdentityX platform of Daon. It is expected to provide seamless and frictionless user authentication by furnishing mobile platform to deliver benefits to clients and service providers, as it stated announcing the agreement. User authentication will be provided by a smartphone application. Partners of this initiative are also thinking of starting a joint venture that would provide authentication services for customers of other financial institutions and e-commerce companies, and internal user authentication for companies as the joint statement read. Reparo is a privately owned financial service provider serving small and medium sized enterprises in the UK. The financial institution has got an identity confirmation platform integrated as a countermeasure against identity theft of UK citizens. This identity confirmation platform analyses digital footprints, facial biometrics, document verification, and identity scoring for identity confirmation and prevent fraud. In a statement Reparo official agreed that checking name and address databases is no longer the defence it used to be given the volume of data breaches and the amount of identity data that fraudsters can access. The new approach of identity confirmation looks beyond the demographics and checks a wide array of sources including digital footprints of a customer. Commercial Bank of Qatar (CBQ) is the first bank started operating in Qatar as a private bank. The bank has introduced biometric authentication to recognize and authenticate its customers accessing their accounts at the bank branches or ATMs. The bank has chosen finger vein recognition system for the purpose. With biometric finger vein recognition customers will be able to access banking and financial services offered by the bank without any card, token or PIN, making it convenient as well as secure for the customers. – commented Samir El-Sheikh, COO of Commercial Bank of Qatar. TIAA (Teachers Insurance and Annuity Association) is a major not-for-profit financial services company providing retirement financial services. The financial service provider has deployed biometric voice authentication for its customers calling in to access services. With biometric voice authentication, customers no longer need traditional methods of proving identity like user names or PINs, making it convenient as well as secure. The voice recognition system identifies customers by their voice print, which is unique to an individual. – said Scott Blandford, executive vice president and chief digital officer at TIAA. KEB Hana is one of the largest banking and finance company and the largest foreign exchange bank of South Korea. 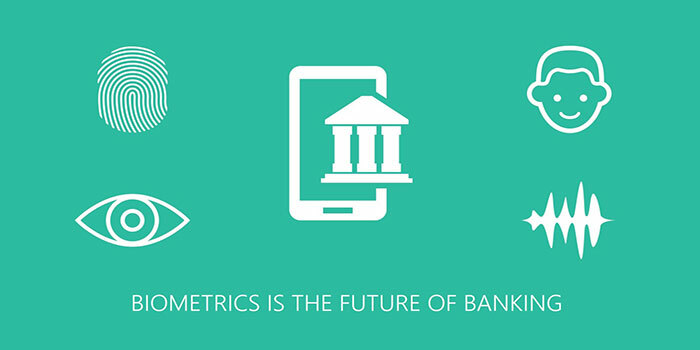 The bank has leveraged iris recognition biometrics to safeguard its services and customers. Following the launch of Samsung’s flagship mobile device Galaxy Note 7, the bank has chosen to take advantage of its inbuilt iris scanner capability to recognize customers accessing banking services. Ability to authenticate with iris scanner of the mobile device is integrated within the bank’s mobile application. As per the experts, iris recognition technology is considerably complicated to hack, making it a nightmare for spoofers and the biometric data of the customers is stored on device locally instead of servers, making it more secure and reliable. Woori Bank is a South Korean banking and financial services company providing its services across South Korea, China, Bangladesh, Indonesia and India. The bank has chosen to implement iris recognition biometric authentication as a countermeasure against unauthorized access to protect its customers. The bank chose iris recognition as the technology is making its way to mobile devices with the launch of Galaxy Note 7, the flagship mobile device from Samsung. The bank has updated its mobile app to leverage Galaxy Note 7’s iris scanner, which is considered to be the most secure way to authenticate identity according to the experts. The iris recognition system of the device has been integrated with bank’s mobile app to make it the most secure way to bank. Guaranty Trust Bank Kenya, commonly known as GT Bank, is a Nigerian commercial bank providing banking and financial services to business as well as individual clients. The bank has introduced biometric fingerprint authentication for its mobile banking app to enhance security. The mobile banking app will now be able to leverage fingerprint hardware on Apple’s Touch ID enabled devices, making it faster as well as securer way to authenticate customer identity. This integration with Apple Touch ID is also set to enhance user experience. – commented GTBank Managing Director Ibukun Odegbaike. Sberbank of Russia is the largest bank in Russia and one of the largest banks in Europe providing banking and financial services to businesses as well as individuals. The bank has stepped up to replace its current authentication system in favour of biometrics. According to some media reports, the bank is looking to implement voice and image recognition systems with accuracy of 99.9%. A bank official told Izvestia newspaper that testing of the voice recognition is already underway and once launched, it will be offered to the customers across the nation. According to the reports, the bank is also in the process of introducing biometric ATMs and necessary hardware is being purchased. The biometric authentication platform is expected to be introduced in 2018. SilkBank Limited provides retail, customer, corporate, and Islamic banking products and services across Pakistan. The bank has partnered with a Pakistani IT firm Kwick High Tech & Solutions to perform biometric authentication of client banking accounts. The IT firm is supplying portable fingerprint reader devices to the bank to get the client accounts verified, these devices, however, can also be used at a POS to make payments as well. The IT firm is also looking to extend availability of its biometric devices across banking and financial sector for account verification. Banco Industrial SA is the largest financial organization in Guatemala and one of the largest in Central America. The company has partnered with FacePhi to develop facial recognition system for its mobile banking application. With facial recognition biometrics, Banco Industrial’s customers will be able to verify their identity with a selfie. Since smartphones with camera has way more penetration in market than any other biometric method/hardware like fingerprints sensor or iris recognition, the app is set to benefit people with just a camera on their smartphone. A transaction authenticated with user’s biometrics helps make sure that the customer requesting the transaction is physically present at the other end to perform it. Many countries have introduced biometric ATMs to let customers withdraw money or perform other transactions (e.g. balance inquiry, wire transfer, print statement etc.) with biometric authentication. India, Japan, Brazil and Poland are some of the countries that have already expressed support for biometric ATMs, other countries, especially from Africa and Asia, are willing to ride the wave in the near future. Banks are regulated institutions and security experts are yet to give biometrics a green signal in some countries, especially North American banks are highly regulated and accepting anything new in current system may have to go through a lot of procedures. However, biometrics is widely being implemented by financial institutions to improve customer identification and authentication practices.